I have been absent from the blogosphere as there has been a lot going on in my life. The story is a long one, so I will not go into detail. But, let's just say that my focus diverted from my art to a neighborhood open space park. And, my husband and I along with countless neighbors have been moved to protect this wildlife habitat that we all love so dearly from future development. It's interesting as I never considered myself an activist, but motivations can quickly shift when the thought of something so special and rare is under threat. We do feel that our message is being heard, and we are very optimistic that this divide will actually bring all those involved, much closer together. My workshop lights have been out for days at length, and so I am now trying my best to play catch up! I had hoped to offer a full collection of original spring delights this season, but it's looking more like a small handful will actually be ready by Easter. 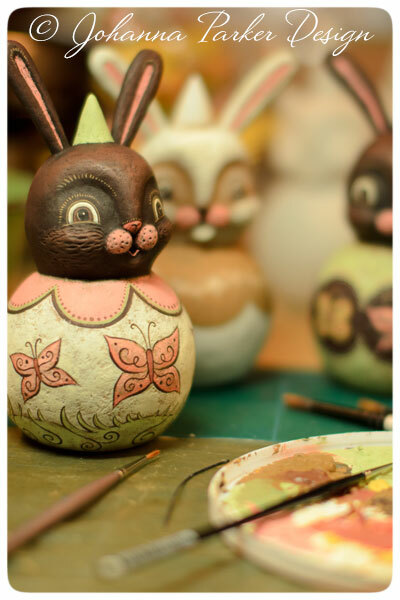 And of course, Easter is early this year too - Shucks! 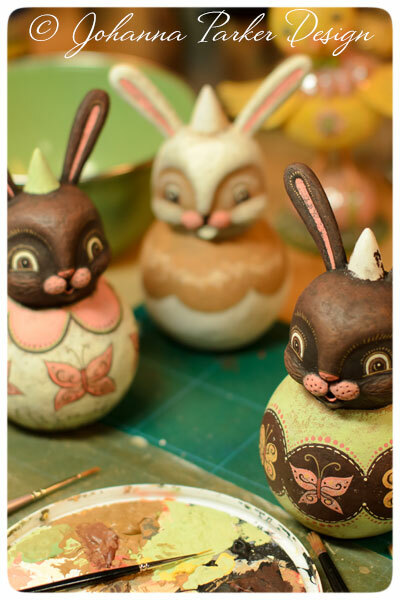 I am still working on a few ball character bunnies and a couple of egg cup guys. So, if you are interested, please check my Folk Art Originals page from time to time as the majority of these will be spontaneously popping up as Collector's Catch pieces, later this month. You may just Catch something special for Spring!